Exploring New Zealand’s winter wilderness is an experience like no other. We have five questions to help you get the most out of your winter adventure. 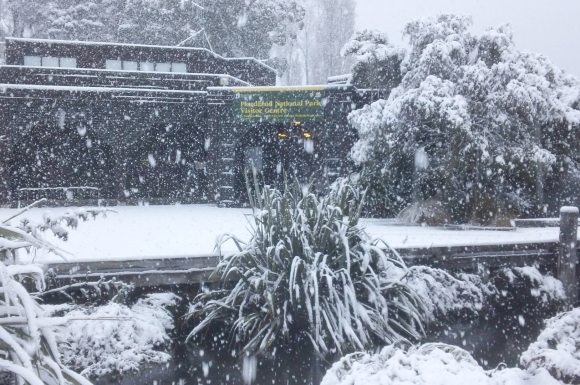 Snow falling at Fiordland National Park Visitor Centre is today’s photo of the week. The snow showed up around the country last week just in time for the arrival of the school holidays—the busiest two weeks of the ski season. The snowy and icy conditions have affected some of the tracks in the Fiordland National Park, so if you are planning on visiting please check the latest Fiordland alerts. Photo by Caroline Carter, Partnerships Ranger. By Chrissy Wickes, Biodiversity Ranger, Te Anau. I love tramping in winter. If the forecast is good then there is nothing better than a frosty walk to a cosy hut. We recently walked up to Aspiring Hut. This is a two and a half hour walk up the beautiful West Matukituki Valley to a hut with grand views of Tititea/Mount Aspiring. Tititea means “glistening peak” and is the tallest mountain in Tititea/Mount Aspiring National Park, rising to 3033 metres. 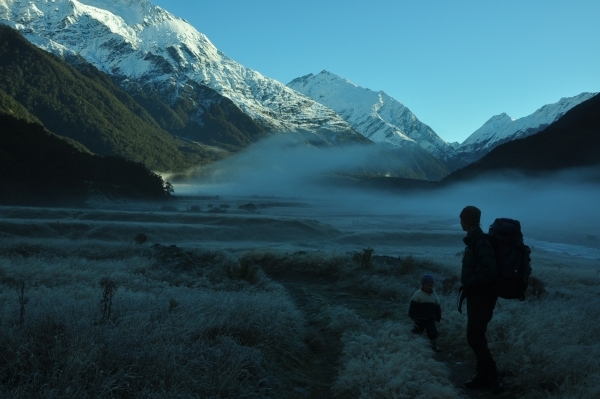 It is an easy flat walk to get to the hut, following the West Matukituki river and surrounded by mountains. You really do feel like you are in the heart of the mountains yet it is less than 60 kilometres from Wanaka. The next morning we woke to a kea jumping on the roof. It was a frosty morning so woolly clothes, gloves and hats were needed. 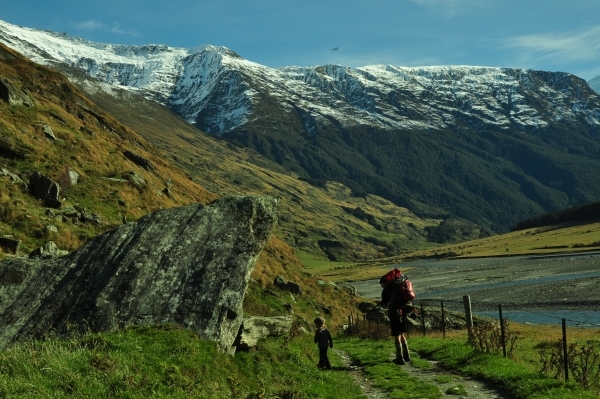 Check out the DOC website for information on Tititea/Mt Aspiring National Park and other great activities in the area.